HP won't sell its PC business after all. The company finished evaluating strategic alternatives for its Personal Systems Group (PSG) today and decided that its customers, partners and shareholders would be best served if the unit remained at home. 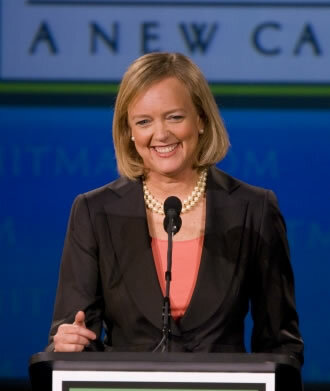 This marks one of the first major changes rubberstamped by newly appointed CEO Meg Whitman. The spin-off proposal was made in August by former CEO Leo Apotheker as part of a plan that was intended to reduce HP's reliance on low-margin computers and guide the company toward more profitable markets such as software and services. The move was made in conjunction with a $10.3 billion agreement to buy software firm Autonomy Corp.
Apotheker's ideas proved unpopular among shareholders, especially because it was revealed prematurely. In August, HP admitted the process -- if pursued -- could take up to 18 months to complete and would cost $1.5 billion. Even if HP secured a buyer and shared the decision more carefully, many analysts believe it would have been a risky endeavor. HP is the world's largest PC vendor and while profits are slim on end-user machines, losing a business the size of its PSG would be felt company-wide. Among other benefits, its high-ranking status in PC sales grants the company leverage over suppliers such as Intel and AMD. Forfeiting this advantage would surely affect HP's profitable server business. "The strategic review involved subject matter experts from across the businesses and functions. The data-driven evaluation revealed the depth of the integration that has occurred across key operations such as supply chain, IT and procurement. It also detailed the significant extent to which PSG contributes to HP’s solutions portfolio and overall brand value. Finally, it also showed that the cost to recreate these in a standalone company outweighed any benefits of separation." Ms. Whitman, the former chief executive of eBay, replaced Apotheker at the helm of HP only a month after he unveiled his restructuring strategies. Prior to today's announcement, Whitman said she would reduce the number of large acquisitions following the Autonomy takeover and focus on using the assets already at HP's disposal. "You don't transform $129 billion companies," she said. "We have to take the most incredible assets we have and make them great."